Professional accounting practices are essential for an organization’s success. Through simple and easy-to-follow lesson, this course will teach you the principles and the core practices of accounting, from the differences between debit and credit, to how to use simple T-accounts for closing accounts at the end of an accounting period. With the aid of practical examples for you to work on, this course will kickstart your accounting career simply. 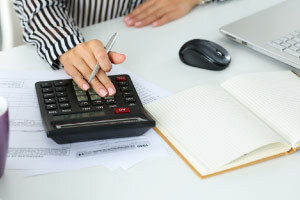 In this course, you will learn the most important concepts of accounting. First, you will develop the skills necessary to classify and record financial transactions, and will be shown the most common mistakes committed by beginners when it comes to recording financial transactions. Next, you will learn the difference between debit and credit, and will be given a variety of transaction examples for you to practice with. You will then learn the formal theory behind accounting, and will gain a better understanding of the principles and evolving conventions in accounting. Next, you’ll develop an understanding of the three basic forms of business organizations, and you’ll be shown how to prepare a classified balance sheet. By the end of the course, you’ll gain practical skills in accounting that can help you monitor business finances effectively. This course is perfect for professionals just starting out in their accounting education, from business owners to accounting students. By taking this course, you can gain a solid understanding of the basics of accounting and learn how to monitor a company’s finances. This will be a great kickstart to your accounting career, so check out the course and start moving forward. Identify and discuss the underlying assumptions, major principles and modifying conventions of accounting.